Able to prove that the strong virus could control activation more than 99% in only five seconds to help protect your family and prevent the spread of harmful bacteria. It deodorizes, controls mold and mildew. 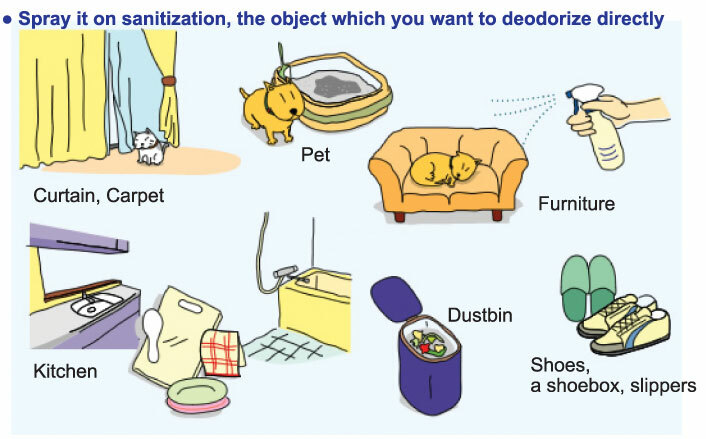 Deodorization the smell of cigarette, sanitization, refrigerator, car etc. Perfectly use for pets area such as tableware, carpets, seat, kennel, etc.